"I see endless opportunities before me." As the first signs of spring show and the weather improves, little bits of optimism are creeping into my mind. Having just celebrated another birthday, I'm once again reminded that I'm not yet where I want to be, and it's time to put forth the energy to try and get there. You're looking fab, those deep hues look well on your complexion. The journey is always tough but I wish you the best of luck in getting to your goals. 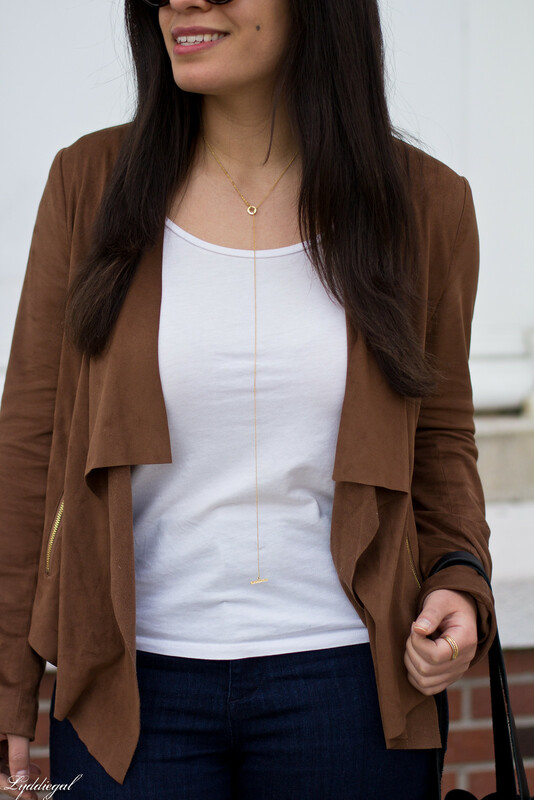 I love the draping on this jacket too! Happy belated birthday! I don't think anyone is ever where they want to be. I mean, our goals are ever evolving! But hopefully you make some excellent progress this year! Do not worry about time because it waits for no one, just do YOU! Happy B-Lated Birthday and YES.. you are still a young Cutie pie with lots more to come. Happy belated birthday! Love this look. And birthdays (or new seasons) tend to remind me of where I want to be (vs. where I am), also. Time to grit out and make some moves! Super cute jeans! And happy belated birthday! I totally feel you on this. That's how I felt on my recent birthday. This (birthday) year, I'm ready to stop letting fear control me. I hope you are able to accomplish everything you want to and more! I know I hear you, yes milestones like Birthdays can be frustrating when they remind us that we are not where we want to be but they can also be inspiring to get us motivated like you said to get there! 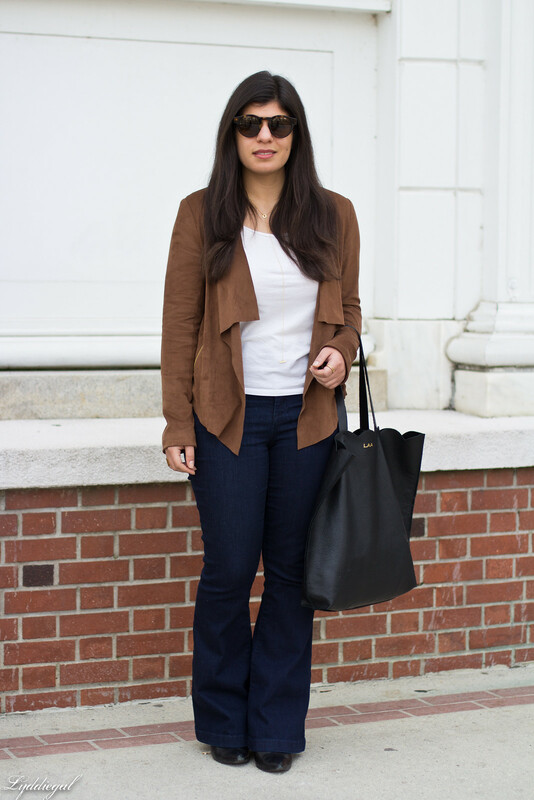 And wide legged jeans are super fun for spring. I LOVE those jeans girl. The flares are so cute! You look amazing! 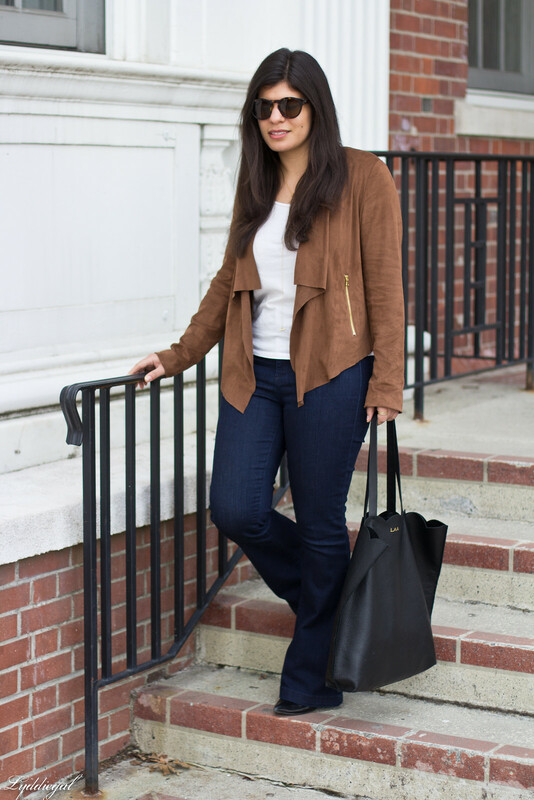 Obsessed with those flared jeans and that suede jacket is flawless! The first signs of spring just invigorates and remotivates you to get goals accomplished! Hope your birthday was wonderful! Happy Belated birthday for you! These jeans are so cool!!!! Oh you'll get there! Especially when you're rocking beautiful flared denim jeans like these. Happy belated as well. Great article - photos are awesome! Happy belated birthday!! You are looking fab as ever--I love that pretty drapey jacket and the scalloped bag--so fun! Happy belated birthday! I am feeling the same way after celebrating last month, and slowly trying to work towards my goal! 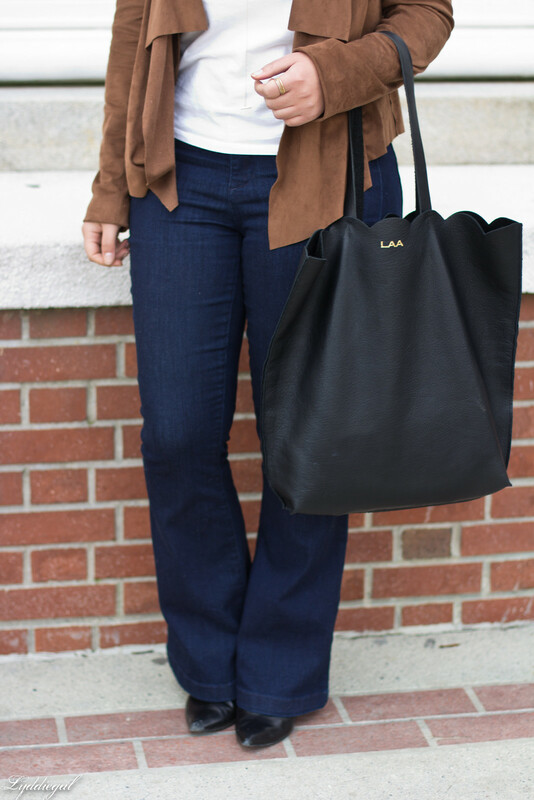 I love this gorgeous draped jacket on you and those flares! happy belated birthday! 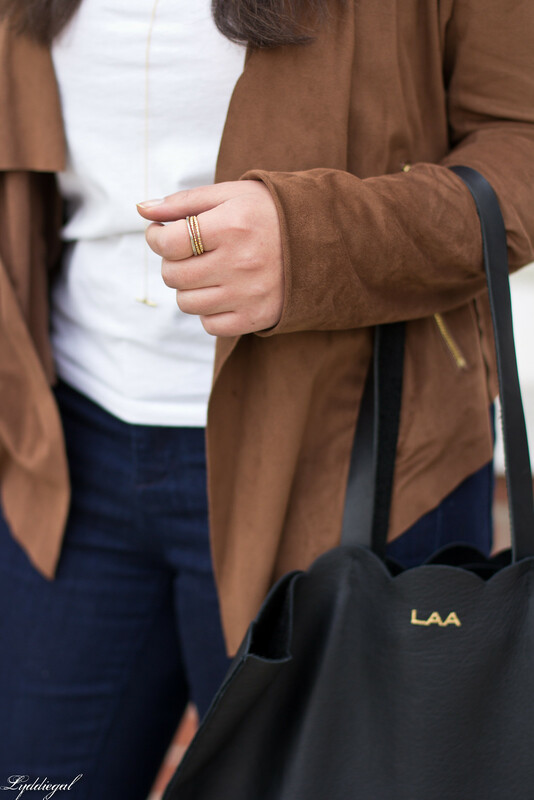 loving your suede draped jacket!